Offer a lush look to your interiors with this lovely accent piece. 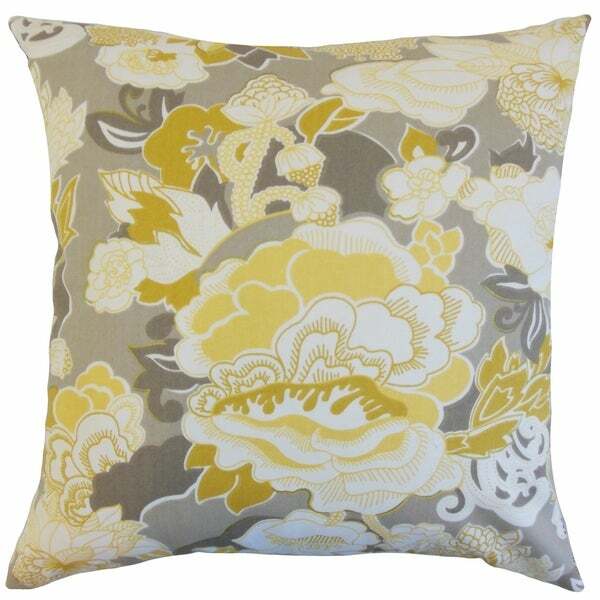 This throw pillow features a floral pattern in shades of yellow, grey and white. This decor pillow lends a bright summer feel to your living room and bedroom. Made with 100-percent soft cotton fabric, this pillow has a hidden zipper closure allows for easy cover removal. With a knife edge finish on all four sides, this reversible pillow has the same fabric on the back side.